Established in 2013, Sense is one of the most recognized names in the electronic cigarette industry. The company has a philosophy of providing value for money for their clients, and this translates to manufacturing high quality products with high-tech features and ease of use. 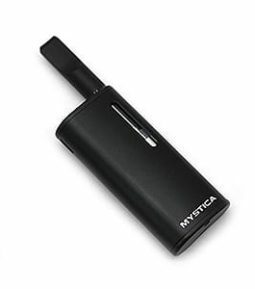 The company produces a wide range of vape products including starter kits, vape tanks of all types, e-liquids to suit all tastes and a wide variety of accessories. Despite the large portfolio of products, Sense has managed to ensure that each product line is of the highest quality possible. The use of stringent manufacturing techniques combined with the use of high quality materials has helped in this. The company has a presence in more than 20 countries worldwide. Why Should You Choose Sense Vape Products? By buying Sense vape products from Discount Vape Pen, you would not only be assured of quality but of optimal savings as well. All the Sense products in our inventory including the Sense Blazer Pro replacement coils are sold at the most competitive prices in the market. When combined with no shipping fee, customers end up saving much more at Discount Vape Pen than at any other establishment. If you are interested in Sense vape products, buying from Discount Vape Pen would be a wise decision. Check out our inventory for great Sense vape product deals today!